Any of us who are photographers that use Lightroom have known that we wanted a version of it specifically for the iPad since the moment it was released. Adobe has heard our call and is releasing the Carousel app for iOS and Mac that John Nack refers to as “Lightroom for the iPad”. 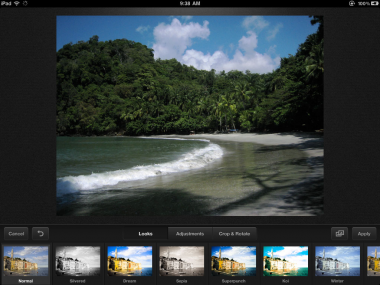 The app features a tuned version of Adobe’s Lightroom/Camera Raw engine to the iPad, iPhone and Mac. Some of the features are sounding very cool too. You get access to all your images on all your devices. 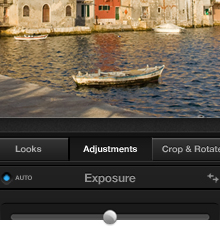 All edits are non-destructive: tweak a setting on one device & you’ll see the edit ripple through your other devices. It’s easy to collaborate with friends & family: people you invite to share a photo catalog can view photos, add new ones, apply adjustments and preset “looks,” and flag favorites. You can easily publish to social networks like Facebook, Twitter, and Tumblr. You can upload your photos to one of your devices and have the photos automatically synced to all of the copies of Carousel you have installed. You’ll get 5 photo collections that you can share with up to 5 other people. When the albums are shared, they can add photos, flag images and edit images without needing a subscription, this is very cool. The editing is all done non-destructively, which means that you can make tweaks to the color and contrast on your iPad or other devices without altering the original. This is what gives Carousel its Lightroom feel. The controls have been optimized for the touch interface and you get all of the basics like exposure, shadows, highlights, white balance, vibrance, clarity and contrast. There are also ‘looks’ which sound like filters that allow you to layer effects on a photo. The iPhone, iPad and Mac apps are all free, with the syncing and storage service costing $9.99 a month or $99 a year, with an introductory price of $5.99 a month or $59.99 a year. That comes with unlimited storage for your photos. The apps will be available later this month and the Mac version is Lion only. Support for Windows and Android is coming next year. Carousel is looking pretty cool to us so far, we’ll have to see if it lives up to the description once we get it in our hands. Read next: Internal Google document lays out plans to "drive the Android standard". Motorola to benefit?